Social media chatter spiked Monday night with the conviction of Jason Ivler for the Nov. 18, 2009 road-rage killing of Renato Ebarle Jr. The buzz grew louder when his mother, Marlene Aguilar, posted a message on her Facebook account. Aguilar, an art collector, gallery owner and book publisher with a mysterious past, said the US Central Intelligence Agency (CIA) was using her son to teach her a lesson. For what, she did not disclose, saying most people would not understand. I met Aguilar in 2008 when she was launching an art book. A year after, she published a rambling noir mix of screeds, vignettes and stream of consciousness tales, with plenty of supernatural phenomena thrown in. Readers couldn’t quite make out what was real and fiction in Aguilar’s books. She took pride in being a cipher to most folks. Her portraits were of a dark goddess. "I have no guilt," she said after acknowledging having worked for drug and arms smugglers. "I embrace suffering and give it back ten-fold." Even her son’s tragedy, and that which he wrought on other people, could not turn her into a penitent Eve. Aguilar has always preferred being Lillith. Her essays, originally first-person oratory, are primal screams. The public’s fascination with mother and son peaked after the 2010 shootout at her Quezon City house that ended with the capture of a seriously wounded Ivler. What follows comes is a rewritten piece from bits and notes of a story written after Ivler’s capture. On stage at the Hobbit House, Marlene Aguilar dedicated a love song to her oldest son. His love was life’s greatest gift, she said. Weeks later, Jason Ivler shot dead Renato Ebarle Jr. over a traffic incident. As authorities hunted her son, Aguilar’s moods seesawed. One moment, begging Ivler to surrender; the next, urging escape from forces using him to hurt her. In the span of a few minutes, Aguilar appeared mater dolorosa, vixen, cosmic goddess and gunslinger. What remained constant then were the love messages to Jason. Whatever the world thinks of Ivler, she said, will not affect her heart. " 'Jason, if you can hear me, I will exchange places with you,” she spoke before television cameras as her son struggled to survive in a hospital. “I will die a thousand deaths by a thousand bullets for you. Till death do us part." NBI agents, tipped off by an informant believed to be Aguilar’s former bodyguard, raided her son’s hideout in the basement of her posh suburban home on Jan. 18, 2010. Authorities said he had never left his mother’s house, in Blue Ridge Subdivision, Quezon City. They said Aguilar had deliberately tried to mislead them. She would later face an obstruction of justice charge. As agents called for his surrender, Ivler sprayed automatic fire, forcing them to shoot back. ABS-CBN video footage showed Aguilar crawling to a safe corner, where she cowered until lawmen had subdued her son. After Ivler’s arrest, Marlene accused the NBI of treating him “like a pig,” a reference to how they dragged the wounded man out of her house. She also demanded that the US government save her son. Ivler, she said, had fought bravely in Iraq. A handsome young man, a sometime rapper, an ex-soldier. A beautiful, outspoken mother, the sister of music icon Freddie Aguilar. Tales of love and crimes and espionage and betrayals. Pain-filled childhoods all around. Critics and fans ranted and raved on various internet forums and social networking sites. Ivler wasn’t a Robin Hood figure. He wasn’t a rebellious young man from the slums slugging it out with abusive cops. He had no apparent cause but himself. But he woke up nihilist sentiments among young people, who’d never come under fire yet. They taunted authorities for ducking his bullets. Rap videos that glorified Ivler appeared on YouTube. “Free Jason Ivler” groups sprouted across the country. On the other side of the social divide were gotcha comments and satirical oohing and aahing over the Ivler’s mug and bod and the tattoos he sports. Half the madding crowd saw a young Rambo, the other half a spoiled brat. Friends and kin insist Ivler is a sweet, gentle soul. There was more ambivalence over the role Aguilar played in Ivler’s fate. In October 2010, she wrote a letter to United States President Barack H. Obama and the United Nations’ Secretary General Ban Ki-moon. Aguilar pointed out how young people believed in her son. Most netizens agreed: Parents should not tolerate, much less glorify, their children’s misbehavior, especially acts that harm or kill innocent folk. But many women also identified with Aguilar’s dilemma. Notwithstanding sermons about walking the straight and narrow, they mused, can a mother really give up her son, especially the first of her womb? Soap operas in this drama-crazy nation often feature long-suffering mothers and their bad boys. It is a regular plot line in Filipino action films. Many reel mothers have died to save their sons. A number who believe their sons are being framed or unjustly treated help them escape. This particular mother-son storyline carries enough twists and turns and complexities for a dozen soap operas. But Aguilar and Ivler are real people. The son’s alleged victims were real people. The killings took away the spouses and sons of real people. News reports dubbed the killing OF Ebarle, son of an undersecretary of the Presidential Management Staff, as an offshoot of road rage. Cops say witnesses saw Ivler was in a sports utility vehicle with a diplomatic license plate. They say he shot Ebarle Jr. three times at point-blank range. The victim died on the spot. Victim and assailant with powerful kin make for headlines. But Ivler, who fled after the shooting, was of a different class. It turned out that he had already been arrested in 2004, in another traffic-related incident that killed Undersecretary Nestor Ponce Jr. In both cases, Ivler was driving a vehicle assigned to his stepfather, Asian Development Bank (ADB) economist Stephen Pollard. Marlene denied Ivler was behind Ponce’s death. She promised to show photos proving his innocence. Kin claimed a truck (that has never been found) bumped Ivler’s vehicle and then slammed into Ponce’s vehicle. Other rumors abound on the Net, some more believable than others. 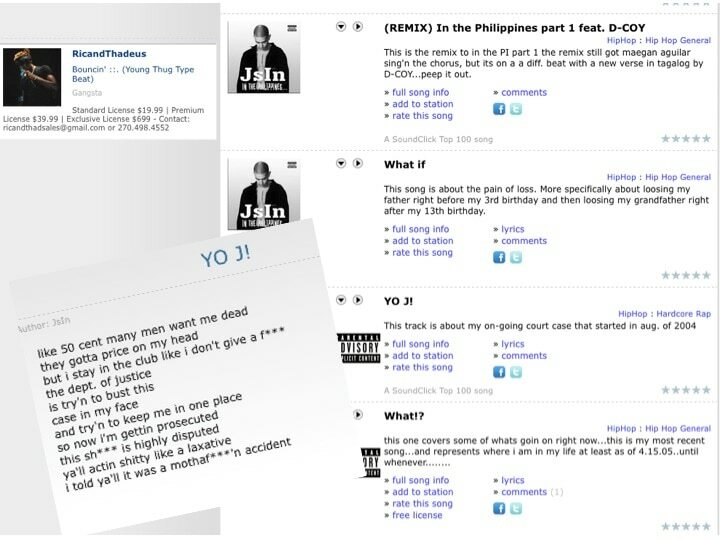 As Jason fought for his life after his arrest, reporters discovered that a musician called JsinAguilar, on a music webpage registered to a Jason Aguilar Ivler, had penned and performed a rap song admitting to the Ponce incident. So now I’m getting prosecuted/This s—t is highly disputed/The Bureau of Immigration and the/National Bureau of Investigation got your man Jason/Try and get me, I’m gonna fight this/Y’all acting sh—y like a laxative/I told y’all it was motherf—ing accident. Whether or not Jsin is Marlene’s son, is for the courts to prove. What is clear is Ivler’s penchant for flight. He walked out of the hospital while being treated for wounds from the Ponce accident. He was caught trying to escape through the southern backdoor with some help from police escorts. Ivler apparently jumped bail after arraignment. He didn’t just make it to the United States. He was even able to enlist in the US Army and fight in Iraq. Aguilar said Ivler was the lone minority applicant from his batch who passed the grueling tests for entry to the Special Forces. Her son, she claimed, volunteered for some 50 of the most dangerous missions in Iraq. On the blogsite Reason is the Reason, there was a fierce debate over Ivler. 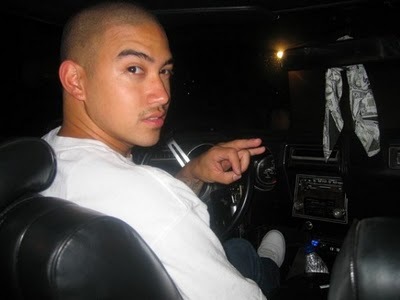 “Tony”, a Filipino-American of the US Army in Iraq (a fact verified via IP address by blog owner and writer Mike Aquino), disputed Aguilar’s story. Ivler went to college in Hawaii. Tony did acknowledge that Ivler’s Army stint came after the 2004 accident. He was a fugitive from Philippine law, taken in by the US military. I asked the United States Embassy in Manila about the military status of Ivler, and how a fugitive from Philippine justice could enlist with the US Army.